On today’s daf we find halachos that apply to converts. Converting is a huge sacrifice, which God values greatly—and so should we. But as is well known there is a halachah that a non-Jew who converted as a minor can recant his decision upon reaching majority. In that case, he reverts to being a non-Jew. How sad that he lost out on such a special distinction due to some passing whim! I’ve been thinking a lot about religious observance recently. Actually, I’ve been thinking about it for a long time and wondering if I’d ever get up the nerve to actually blog about it. It’s fairly common knowledge within the Messianic Jewish and Hebrew Roots communities that the status of non-Jews and their possible obligation to Jewish religious observance is a matter of some concern. Mark Kinzer’s book Postmissionary Messianic Judaism: Redefining Christian Engagement with the Jewish People is something of a blueprint of one end of the spectrum of Messianic Judaism that advocates for parallel but wholly separate conduits of Jews occupying Messianic Judaism and Gentiles occupying traditional Christianity. In theory, both groups relate to One God and to Jesus (Yeshua) as the Jewish Messiah, but their recommended approaches to religious practice are totally different, and the two groups rarely if ever, interact. On the other side of the spectrum is the One Law group which states that there are no distinctions or differences between Jews and non-Jews in the Messianic movement. Except for a matter of DNA, Jews are no different from Gentiles in their obligation to the 613 commandments that define the modern understanding of the Torah. This brings up the uncomfortable reality that all Christians everywhere have the same obligation to the Torah, whether they realize it or not. The One Law position must come to the conclusion (though I’ve never heard them state it as such) that the vast majority of the Christian church is continually in sin because they don’t refrain from eating trief and work and play on Saturday. The educational ministry First Fruits of Zion (FFOZ) has proposed a sort of “middle ground” in this arena with the idea of something called “divine invitation.” FFOZ has produced a number of books and other, similar materials presenting information from Jewish literary sources suggesting that historically, Gentiles were not always completely forbidden from certain Jewish observances. I won’t attempt to list the details here since they are too numerous, but the basic idea is that, while non-Jews are not obligated to fulfill the Torah mitzvot in the manner of Jews, they are, in many cases, permitted to do so. This would no doubt fly in the face of more traditional Jewish viewpoints and certainly Orthodox Judaism would be in almost complete disagreement. Nevertheless, within the Messianic context, you will find many non-Jewish people voluntarily taking on board some of the Torah mitzvot as they feel led to do so, but with the understanding that refraining from any of the mitzvot does not constitute a sin on the part of a non-Jewish Christian. Divine invitation is an opportunity for non-Jews in the movement who have become accustomed to keeping certain of the mitzvot to continue to do so without necessarily crossing the distinction barrier between Gentile and Jew and thus preserving Jewish distinction in Messianic Judaism. But there’s a flip side to the coin. Divine invitation allows non-Jews in the movement or at least associated with the movement to not observe the mitzvot…at all…ever. It’s been well over a month since I attended FFOZ’s Shavuot conference at Beth Immanuel Sabbath Fellowship in Hudson, Wisconsin. For several days, I was allowed to worship in what seemed to be the ideal Messianic Jewish religious environment. The Gentiles still outnumbered the Jews by quite a bit, but the model for worship was definitely that of the synagogue, though great accommodations were made for non-Hebrew speakers and readers. There were a lot of non-Jews worshiping in the Jewish manner, though in that environment, they were not obligated to do so. We non-Jews were not obligated to eat the fine kosher food that was provided. We were not obligated to daven shacharit. We were not obligated to don tzitzit. And yet most of the non-Jewish worshipers did so and no one seemed to mind. But what if we didn’t? I mean, if we’re not obligated and let’s say, we don’t feel led, so what if we didn’t worship in even a remotely Jewish manner? I suppose nothing bad would happen. But is there an expectation that even if we don’t have to keep the mitzvot, that we should, particularly if we are choosing to worship with Jews who are worshiping God as Jews in a (Messianic) Jewish synagogue? 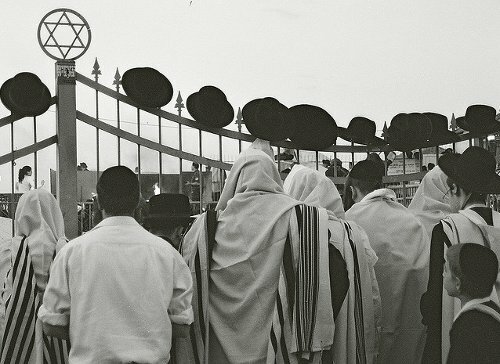 It would be an interesting experiment in that environment to have a non-Jew observe absolutely none of the mitzvot, just to see what it would be like to decline a “divine invitation.” I suppose it would be like going to your high school senior prom and then continually refusing invitations to dance. What would be the point? The point I suppose, is that the “prom” is where you feel you belong, where your friends and maybe your family are, and yet you feel you aren’t called to dance their dance because you believe you don’t really belong to that group of dancers. OK, it’s a crummy metaphor, but you get the idea. Of course, most of the time, I don’t worship with anybody. In fact, I don’t worship in a community at all. This avoids the whole problem of how I should worship, identity confusion, and the whole shooting match, but there’s a problem. I live with Jewish people. Do I do what they do? The Jewish people I live with aren’t particularly observant. Like I said, it got kind of absurd. No one seemed to care if I lit the candles or not. So I stopped. My wife hasn’t gone so far as to serve up pork chops for dinner and in fact, she’s rather studious about making sure we all continue to eat “kosher style” (see Leviticus 11), but our kitchen isn’t kosher and, strictly speaking, my wife doesn’t understand why I don’t choose to eat trief, since the kosher obligation doesn’t apply to me. We also (gasp) work on the Shabbat. This part really bothers me, but there’s not a lot I can do about it. My daughter’s and my wife’s employers require that they work highly variable hours including the weekends, and they often work late Friday nights and on Saturday. The missus has made no bones about saying she would like me to keep my writing and editing schedules up on the weekends, though I’m able to refrain from household chores on Shabbos for the most part, deferring them to Sunday. I can’t remember the last time she went to shul, except perhaps to cook for some special occasions. Yes, I do know that my Jewish family members are obligated to the Torah, though none of them are observant at the moment. I suppose that makes me a bad husband and father for not compelling them to do so. But I can’t really compel them to do anything. I have tried being supportive, but my children are all of adult age and my wife is of course, my wife, so she takes responsibility for her Jewishness and again, it seems rather absurd for a non-Jew and particularly a Christian to be telling her the business of being Jewish. So having tried that and seeing that it didn’t work out so well, I stopped. The whole “divine invitation” and Christian identity thing means that I am not obligated to a Jewish lifestyle. I’m sure most Jews out there are relieved to hear that I’m not living like a Jew. But depending on your view of Jewishness and Jewish obligations to God, some of you may be distressed that my Jewish family members are not observant. Heck, there are members of the local Reform shul who are more observant than my family. I can imagine that many Jews would blame me for all of this. After all, my wife and I are intermarried. Intermarriage is usually seen as the gateway for a Jew to leave Judaism and assimilate into Gentile secular culture or even into Christianity. While I can assure you that my wife has no attraction to Christianity on any level and I don’t believe she has become secularized, she doesn’t display a strong religious Jewish lifestyle. I have been trying to encourage my son David to return to the synagogue. His wife has recently rekindled her interest in attending church but I don’t think David would go with her on a regular basis. His basic internal template for religion is still Jewish and he remembers fondly some of his “debates” with the local Reform Rabbi. Actually, just last Sunday, my wife said she’d love it is David would visit the Chabad here in town, so she has her hopes as well. The “religious identity” of my family continues to be in flux. I’m not even sure how much more my wife can tolerate my Christianity, so where I’ll end up in the months and years ahead is uncertain. I’d like my Jewish family to return to Judaism as an observant lifestyle. I hope they don’t see me as a barrier. I’m really anything but. In fact, in a recent conversation about conversion with my wife, (hence the quote at the beginning of this “meditation”) she said it would be ridiculous for a Gentile to try to convert to Judaism in Boise, (although a good friend of hers converted within the past year) since the convert wouldn’t have a strong Jewish community in which to live. So I don’t think my wife wants me to be “Torah observant” in any way, shape, or form. But what about her? It would seem that for the sake of peace in the home, I must decline my “invitation,” and as a Christian, I would not only make a poor model of Jewish observance for my Jewish family, but I would actually be an annoyance if I tried. Thus, I cannot encourage them by my example since my example would be completely unwelcome. I suppose if I were a Jewish husband and father, it might be different, but that’s not an option. Maybe the fears of Judaism are authentic fears and intermarriage is the path to slow death for the Jewish people. Even though it is not my intent, I certainly seem to be killing the Judaism in my home. 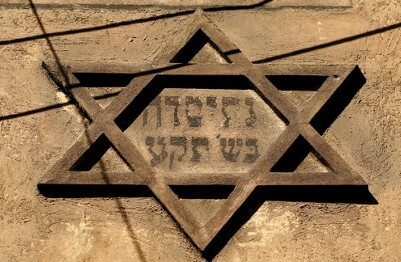 Across the long span of history, an untold number of Jews have suffered and died to preserve who they are as Jews. Given that realization, I wish I understood what was going on in my own home. But then, in this particular case, I don’t have a say. 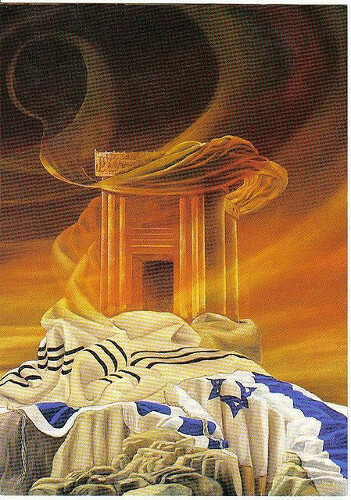 I only have to wait and pray that God, who has never abandoned His people Israel before, won’t abandon those who live in my household now. My wife and children are Jewish. I want and even need them to live like Jews. May the God of mercy grant this for them and for the sake of Israel. Religious identity is difficult in our time were everything seems to be changing. But I hope whether you’re Jew or Gentile you’ll find Shalom in God, who will draw his children to the very best place on earth: Just being with Him. May He reveal Himself to you, your family and all of us. It’s easy to say I know, but it’s more to say I learn. In a lot of ways, this connects back to these two blog posts, but it’s also very personal. This isn’t just abstract intellectualizing of religious concepts. This is my life. James, I hear the frustration and trust me I feel it too. I lean more towards one law for everyone. Like you stated, I felt like everyone was sinning that wasn’t practicing one law. I was mad at my church and mad at my family for raising me with ham sandwiches and easter eggs. But I had to work thru all that. I now realize my heart has led me here and until other’s heart lead them my getting mad or forcing the issue will be an endless frustration for everyone. So its been a work in progress for me and I am definitely learning and growing. I didn’t know where my heart was leading me a number of years back and it wasn’t an overnight thing and I can’t expect to be that way for my family and church friends either. The Rabbi at the messianic congregation where I attend tells us all the time our goal is not rabbinic Judaism. He always points us to Yeshua and says walk like He walked. The majority of people there are Gentile, but it is really mixed as to how the congregation responds to the “Jewishness” aspects of the service. I’m talking outside appearances here. What they wear and if they cover their heads, Davidic dance, etc. But for me, yes, once I realized who I was in Yeshua (His child, adopted into His family), I wanted to incorporate obedience to His commands into my life. I didn’t see them as a burden anymore as I had been taught that they were. But I ask you in regards to your last sentence about your family. Do you really want them to “act like Jews” ? Yes, I know from a DNA perspective that is what they are. OR do you want them to acknowledge Yeshua as their Messiah and in turn live in the fullness of their heritage and DNA with Yeshua incorporated into their lives. So when they celebrate the Feast or light the candles on Shabbat they will understand what all of these practices truly represent. It won’t just be a ritual then. It will be life more abundant. We all have a rich heritage I pray that I and my family will cling to it. So many Jews have been lost to Christianity and I don’t believe that was ever God’s intent. While I would be delighted if each of them could realize their Jewishness in the Jewish Messiah, I’d also like them to realize their Jewishness. Each of them in their own way actually does, but no one of them even lights the candles on Erev Shabbat. There are some Jews in Messianic Judaism that would say that Rabbinic Judaism is the only modern expression of Judaism. While you and I as non-Jewish Christians don’t have to imitate Jewish religious behaviors to follow our Master, it’s reasonable for Jews to behave as Jews when worshiping the Jewish Messiah. Yeshua was OK for the most part, with the normative Judaism of his day (despite what many churches teach) so the question is, would he be OK with normative Judaism in the 21st century? If God doesn’t want this chosen people to make themselves “unchosen” by abandoning their Jewish heritage to cling to the Jewish Messiah, then I do want them to more fully attach themselves to their Jewish identity, including the religious Jewish identity. I can’t make them do that anymore than I can make them have faith in Jesus as the Messiah, but I can desire it and pray that God’s will be done in their lives for the good. What you can’t see is inside the dynamics of my family. If my son were open to dialoging with me about being Messianic, I’m fairly sure my wife would be pretty mad at me for trying to turn him into a Christian (which would be her viewpoint on the matter). How do I honor my Christian faith and communicate it to my Jewish family and not alienate them? I totally agree. I would never dream of asking a Jewish person to convert to Christianity. I would not want that for your family at all. Acknowledging and clinging to the Jewish Messiah has nothing to do with loosing their Jewish identity. I think it is the total opposite. That is why I said it would give even more meaning to what they already are suppose to be doing. I hope you would never try and turn your son into a Christian (God Forbid!) Forget the word Christian. I realize that is a major turnoff. I hope that has been conveyed to your wife. I’m not trying to let on that I completely understand your situation and family dynamic nor trivialize it. But the thing you have in common with your Jewish family members is Yeshua was a Jew. if it weren’t for that fact you would have nothing in common with them from a religious or lifestyle perspective. I realize you want them to embrace their heritage and live up to the calling they have been given thru their DNA. You understand it from a completely different perspective than they do. You are seeing it as a treasure thru Jesus that you want to participate in and have them participate in thru their DNA and with the richness of Messiah as the unifying factor. That is ultimately where the unity will be. I can’t even talk about this with my Christian husband and daughter because they gets all defensive. So we are both dealing with family members who won’t embrace their identity with a Jewish Messiah. Well, and what did Rabbi Yeshua tell his Jewish disciples to do? I wonder if Kinzer is married to a Jewish woman? And if he is married to a Gentile woman, do they live in different houses? I feel like the conversation shifted from contemplating the tapestry to focusing on a few of the threads. I think you and your family are perfect exactly where you all are. The mess of the diaspora is what HaShem has allowed. So just trust him. There is no major transgression here. Most observance is not actually fulfilling Torah anyway, it’s usually just something we do to remember the real commandment. I’m not making excuses or downplaying Shabbat but I’ve always considered that shabbat is really happening at the Beit haMikdash. So physically Hashem “meets with Israel on Yom Tov and Shabbat a day before us in America if the temple was standing! I’m just throwing ideas out there, like I do, so forgive me if I’m way off. Your wife or children think of Jewishness as what they are not what they do. G-d will bring them to a place where they realize what they have in Him. Your job is to trust that. When a farmer plants a seed he doesnt go tug on the first sign of green leaves that come forth from the dirt. So you don’t have to see results G-d will make it grow. 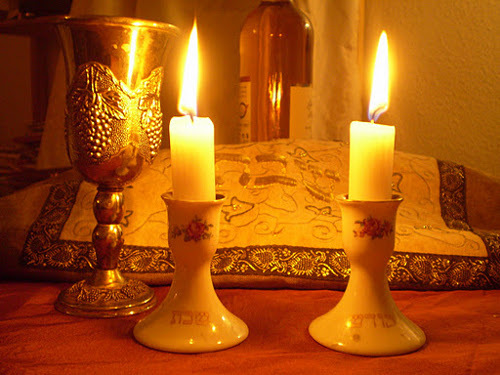 Lighting the candles is an acknowledgement of the entirety of sanctifying the Shabbat. I think it’s good they don’t light them. That means they fear HaShem. They know they ate not ready to fully aknowledge Him. If they did then they would have to recognize where exactly they don’t aknowledge Him. Also you ARE NOT killing anything in your home. The Talmud says a a procelyte is like a scan or a pebble in the shoe. So you may be a little annoying, so back off a bit. I’d wager your righteousness is what is annoying. I love you James and there is great purpose in all that your family is going through. Your family will/is effecting the world! The world needs you and your process. Someday we will all appreciate the freedom we have or had in this life to serve HaShem and where we didn’t or don’t. That’s G-ds job. We are disciples of the master we are to be salt and light. Just be friendly and happy! Being friendly doesn’t make someone ascribe to all your beliefs but it frees them up to hear from G-d himself. Thanks. I don’t know about us being all that perfect, though. OK, I hear what you’re saying. It’s just this has been on the back burner for a long time and I thought I’d switch it to the front so I could get a better look at it. It is what it is. I guess I should take the advice of the great sage Dory. Many religions seem to be centered around the presence of a religious male head. I guess that’s the Achilles’ heel. That’s kind of difficult to pull off in an interfaith marriage, Drake. In any event, each of us is responsible for our own relationship with God. However, Christianity is responsible for what we’ve done to marginalize and almost extinguish Judaism. James, I don’t want to pull this off subject. I want to quickly respond to Gene: This Rabbi I referred to does not have a problem overall with Rabbinism. He is referring to the fences and extra demands. I definitely recognize the rabbinic contribution in regards to encouraging, explaining and helping one walk out Torah, but will always look to scripture (thru the lens of Yeshua) as my ultimate guide. Don’t think he or I are discarding them. So please don’t worry Gene. Really appreciate the personal nature of your blog, I look forward to it. Yours is the situation of many, but your case shows the beauty of DI as you can tailor your expressions of yiddishkeit to fit the situation with the result being everyone around you being built up and affirmed for who they are. You don’t have to consider your family as an enemy, as I have in the past, who have a nasty habit of getting in the way of my service to God. It really makes for a lot of peace all around. @Joy: I think Gene already had his say in his original comment plus the links he posted. I also saw something on Facebook posted by Boaz Michael that indicates their next book will be about the centrality of Yeshua (Jesus) for all “believers” including Jews in Messianic Judaism, so stand by for more on that. @Sean: I don’t know that I see my family as getting in the way of my service to God. After all, it’s not like donating to charity or volunteering at the food bank is a uniquely Christian experience as opposed to a uniquely Jewish experience. On the other hand, it’s not like I can say a prayer before dinner invoking the name of Jesus (unless my parents are visiting), so certain things are kept mum for the sake of peace. No worries. Text-only Internet communications are fraught with misunderstanding. Thanks so much for sharing this James. Already knew wasn’t, but think I still needed to hear that I’m not alone in a “sort of” similar situation. I’d like to think of you as a male version of Ruth. “Your people are my people” or perhaps like Caleb son of Jephunneh the Kenizzite, who I assume his father married a daughter of Judah thus became a part of Israel in similar manner to Ruth. Thanks, Liz. Never thought of myself as a “male Ruth.” I think the distinctive difference is that Boaz completely welcomed Ruth into “Yiddishkeit” but that’s not going to happen to me in the here and now.